This is your location. Start typing an address then use arrow keys to choose one of the possibilities from the available list and press enter. Slide to adjust the distance from the location to show services. We Can't Find You We currently don't know your location. Please enter your address in the box above. Displayed services are limited to those found within the region. Not all map pins are visible in the current map display. You do not currently have any directions displayed on your map. To get directions to a location you need to click on a marker on the map and then choose the mode of transport button. These are the directions from your location to the selected location. You can Print these directions by selecting the Print button above. To clear these from the map close the Clear button. By default when you open this page your browser will ask for permission to locate you. If you approve this request it will continue to locate you upon each subsequent visit. Consult your browser's documentation as to how to turn this feature off. To set an address to use as your default click on the Settings cog button at the top left. From there you will be able to choose an address to use as your default address for each visit to this page. The Services panel allows you to select which services to display on the map. When the markers are placed on the map you can then click on a marker to find out more information about the services provided at that location. To view the directory listing for a service you can click on the service name in the top of the info bubble and the listing will open in a new tab of your browser. To return to Explore My Community just close that tab. The Points Of Interest panel shows you the collections of Open Data we have sourced for you. These sets of data are provided by the regional bodies in order to give you an insight to the services provided to you by them. The directions can be printed by clicking on the Print button. The directions and the details of the selected location will then be printed out for you. 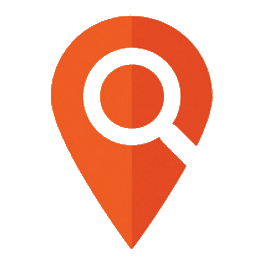 Explore My Community needs to know a location about which to locate the services you require. All modern browsers provide a geolocation service that can tell the browser the your approximate location. However, for a desktop computer with no GPS unit, it can only provide the location of the IP address provided to you by your ISP. Depending on your ISP, it may be their location. If this is the case you can specify an address to use which is where you are. Use the geolocation service provided by your browser if available. Use the following address as the default for this computer.